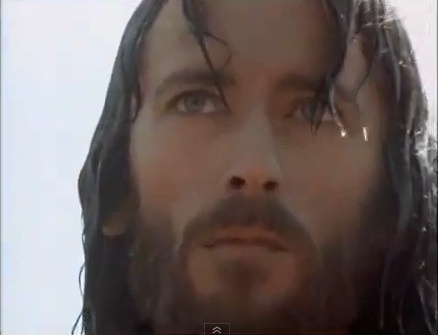 John The Baptist & Gesù - "Jesus Of Nazareth" movie. Andrew, Philip, and John the Baptist watches as Gesù departs.. Wallpaper and background images in the Gesù club tagged: jesus club jesus our savior our brother our best friend god's only begotten son healer the mesiah jesus of nazareth movie. This Gesù photo might contain ritratto, headshot, primo piano, and closeup.